When we saw Dyscarnate live for the first time earlier this year they proceeded to blow a lesser death metal band on the same bill right through the nearest wall, leaving them in a sad heap of shattered masonry with broken guitars and drum heads lying on top of their inert, dust-caked forms. Weeks afterwards, when the excitement of that gig had passed, we wondered if Dyscanate had really been that good. Had we been mistaken? Influenced by external factors perhaps? For the uninitiated, Shropshire-born Dyscarnate are a freakishly heavy power trio devoid of redundant parts and weak links. They boast a twin high/low vocal attack, so tight and stylish that it has to be experienced to be believed. Better still, Dyscarnate don’t do big guitar solos or hackneyed theatrics – they just attack relentlessly until you are flattened into a two-dimensional outline of a human being. As we jack up their third album – the as yet unreleased With All Their Might – we are prepared to be either fully vilified or proven horribly wrong about these lads. The album kicks off with a triumvirate of songs that almost feel like three acts of the same work; “Of Mice and Mountains”, “This Is Fire!” and “Iron Strengthens Iron” are slick, hard and colossally groovy and they’re without doubt the strongest songs Dyscarnate have written to date. Listening to With All Their Might for the first time, the evolutionary trajectory of this band is very impressive. They have moved from straightforward modern death metal on their debut, to a more nuanced, riff-driven attack on 2012’s excellent And So It Came To Pass, before emerging as the machine they now are. 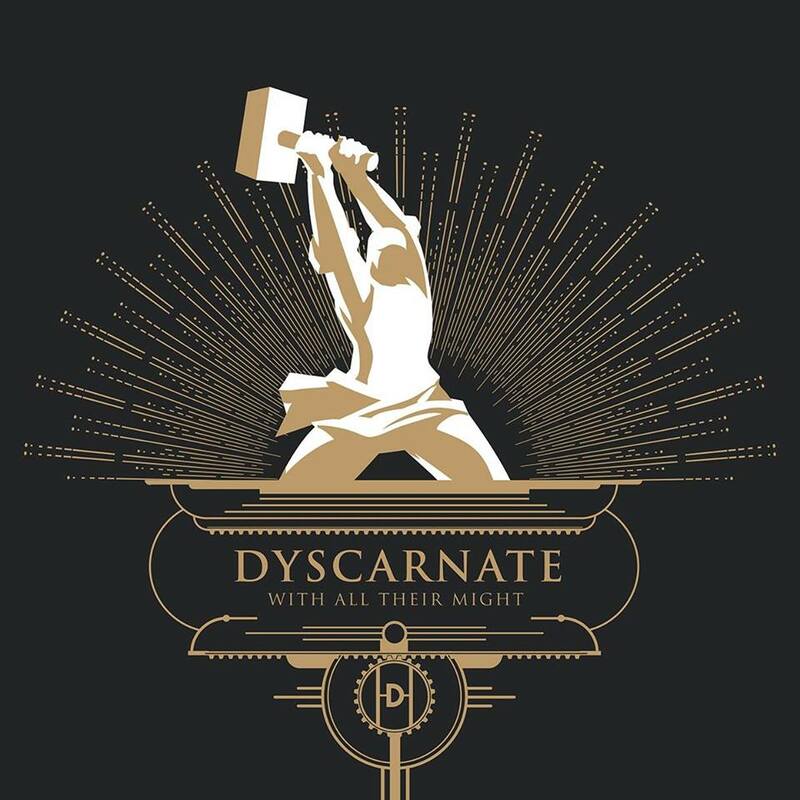 We have the impression that Dyscarnate have had the intelligence to single out their own strengths – to push what they do well to greater heights. Indeed, with their mastery of the mid-tempo stomp they occasionally edge into groove metal territory – almost like a tougher, heavier Lamb of God. In fact, the only time when they really play to the standard death metal tropes is on “To End All Flesh Before Me’ and even that comes across as a refreshingly brutal blast of tremolo picking rather than a primary mode of expression. But it isn’t all about the floor-fillers (can you use that expression in connection with death metal?!). With all their Might also sees Dyscarnate exploring more adventurous territory than they have thus far. “Traitors in the Palace” stands as their most dramatic moment, replete with a dissonant Godflesh-style riff and punctuated by tolling bells. “Nothing Seems Right” is in the same vein and feels more moody and personal and also contains one of the most neck-obliterating drops on display here (or anywhere else for that matter). With All Their Might is easily the most focussed and downright exhilarating thing Dyscarnate have done to date. It’s a short, sharp shock – their Reign in Blood if you will – and it fully deserves to elevate them alongside the likes of Decaptiated on the world stage. At the buffet of extreme metal, these boys have just stuck their faces straight in the fillet steak, punched the waiter then walked out with their pockets stuffed full of vol au vents.